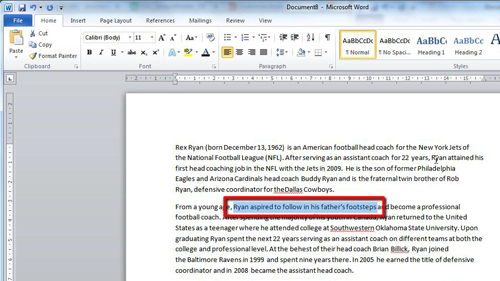 In this tutorial you will learn how to highlight word using keyboardwhich is a quick and easy way to draw a reader’s attention to a specific part of the text. 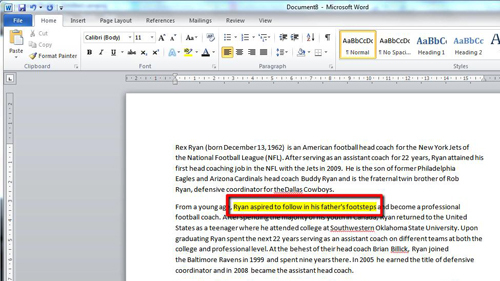 Start with the Word document where you want to highlight some text. Using the arrow keys on the keyboard navigate to the start of the part of text you want to highlight. Now, hold down the shift key on the keyboard and then use the right arrow key to move over the text. You will notice that as you move over the text it will become highlighted in grey. This highlighting is only temporary and it will disappear once you select something else in the document. In order to make the text highlighted permanently, or at least until it is manually removed, you need to use another keyboard shortcut. Press “Control”, “Alt” and “H” and at the same time the background of the text will turn yellow as the temporary highlighting disappears. 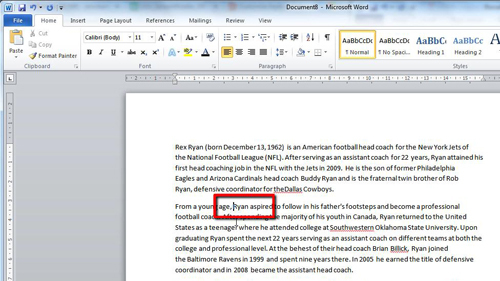 This is how to highlight word using keyboard.